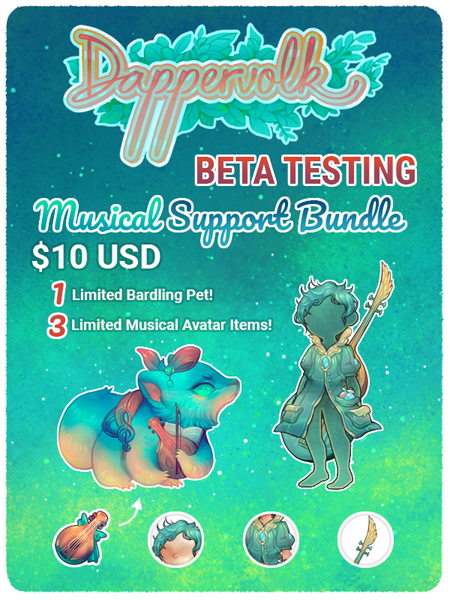 Hey guys, here's how you can help support Dappervolk during beta as well as get some nice limited items that will carry over to official launch! Everything in these 2 bundles will be sold during our Beta Testing period only, and will retire afterwards! 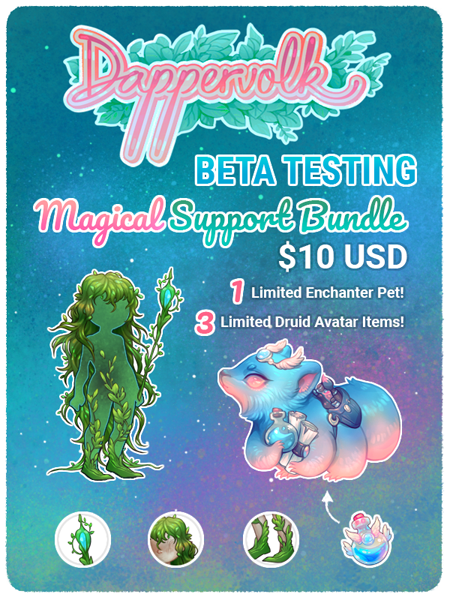 NOTE: The "key" you get instantly after purchase is just a gumroad transaction ID, please wait up to a week for an email with the bundle code to be sent to you! If you don't get a code after more than a week, feel free to email [email protected] or send in a ticket with your email! "You will receive an email with an item redeem code(s) that you can use during Beta as well as Official Launch, as the usage of the code will be wiped at the end of testing along with Beta's player account data. Emails may take a few days to arrive, as they are sent periodically." last paragraph of the gumroad descriptions. the code y'all are seeing is just a transaction code. I'm also having the same thing? Are the license key and the redeem code two different things? I'm happy to support DV and get cool items! I just bought one of each. I am looking forward to when the codes arrive! The new pets look so incredibly cute. oh wow these are both so cute!